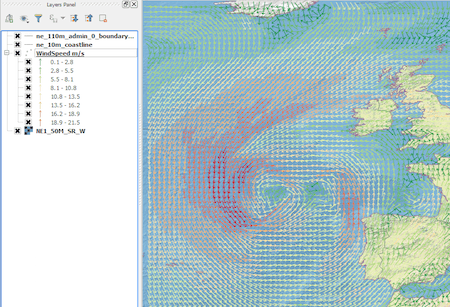 From Cloud to GIS: Getting Weather Data. Data Lakes has become a popular term in the Big Data community. It’s used to refer to a large storage repository and processing engine. However there is now a technology from NOAA (National Oceanic and Atmospheric Administration of the USA) that turns its existing distributed data network of Petabytes of Open Data into what can be described as a Data Ocean! This technology is called ERDDAP and it provides fixed entry points on the Internet from which data can be searched for, queried and transformed. This functionality is made available via a human interface (web site) and Restful Web Services.